Fonta Flora is one of those small breweries that has a true mastery of the craft aspect of craft beer. They focus on brewing beers with ingredients sourced close to home, partnering with local farms and even foraging nearby hillsides for wild fruit and veggies. They do what they do so well, they won gold at 2015 GABF in the Field Category. 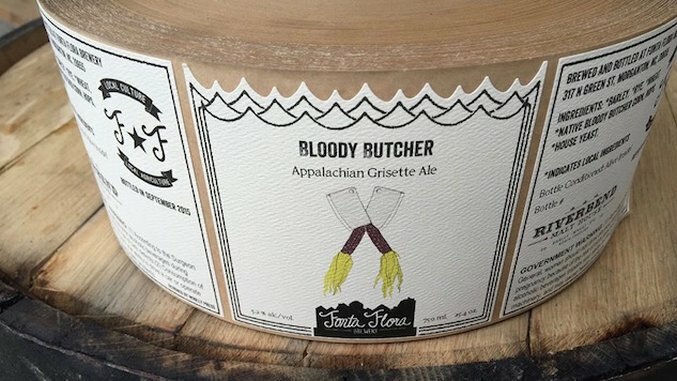 As of right now, you’ll have to forage for their beers because, like I said, Fonta Flora is a small operation, brewing in Morganton, N.C. But put in the effort. You won’t be sorry. Not only is the beer inside the big bottles great, the labels are killer too. These hand-drawn pieces of art are a testament to Fonta Flora’s dedication to craft.